RESEARCH TRIANGLE PARK – Just as explorers once raced to find cities of gold, entrepreneurs like Scot Wingo are battling each other to win the race to market dominance for on-demand vehicle maintenance. “One of the most exciting things about building something nobody has every built before is you feel a bit like an explorer – every day we have a near infinite set of paths we can take, which ones are the right ones?” says Wingo, CEO and an original investor in startup Get Spiffy. “Should we open our sixth market or continue to grow existing markets? “Customers are asking us for X, Y an Z services, should we look at those? Securing $9 million in new venture capital that was announced earlier this week doesn’t mean Wingo can rest on laurels. In fact, he’s going to be even more busy as he and his team of entrepreneurs search for new frontiers to grow Spiffy. With California-based Yoshi and others continuing to enter the on-demand car maintenance space, Spiffy also faces more competition. The Skinny caught up with Wingo to talk about the new funds and how Spiffy plans to deploy the capital. Can you explain why you decided to raise more capital? We’re always balancing growth vs. profitability and as we looked at the results from our first round and talked to the board, we came to the conclusion that as we experimented across four-dimensions (new geographies, new services, new products, new ‘channels’) we were fortunate to have a lot of successes in there that made us feel like it was good timing to continue to grow. Was the round oversubscribed? How much had you wanted? If you raise too much, then you risk too much dilution and not being able to ‘grow into’ the valuation. If you raise too little, then you are always raising capital. We targeted $7-9 and were pleased to come in at the high range of that. Unfortunately we did have to trim some folks back, but hopefully they will love our progress and if we do another round will want to participate in that down the line. Why are investors apparently so willing to invest in the firm? You’d need to ask them. o Addressable market – this market is huge. I like to say this is a ‘Starbucks-level’ opportunity and I mean it. There’s no national/global car wash/car care brand and we believe our customer experience is 5-10X better than anything out there, so this has the potential to be a very big company. Starbucks has $20b+ in annual revenues and a $80b market cap. That’s the size of the opportunity we are chasing here. o Execution – there’s a classic cliche that I have found to be true – ideas are easy, execution is hard. We are in 5 markets, three channels (office park, fleet, residential), many service+products (wash, detail, oil, Spiffy Blue) and growing > 100% y/y while maintaining a very high customer service rating. 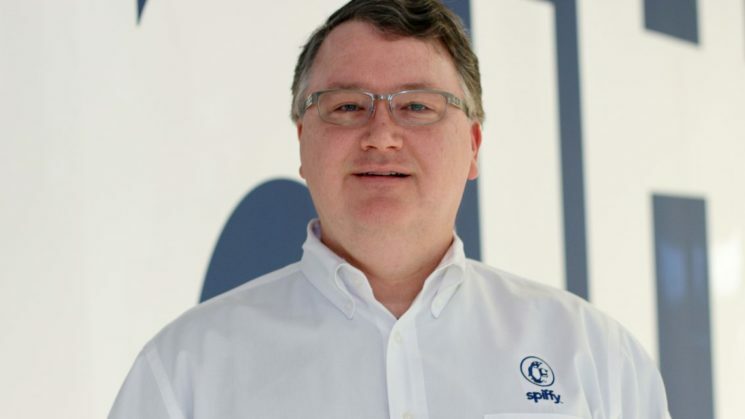 o Technology – It’s easy to call Spiffy a car washing company and that’s true, but until you really dig into the details, you don’t understand how much technology we are building behind the scenes. Every time we make our customers lives a bit easier and reduce friction, there is a ton of intellectual property and innovation that happens behind the scenes to make that happen. How do you plan to invest the proceeds? Earlier I mentioned the four growth dimensions (new geographies, new services, new products, new ‘channels’) we focus on at Spiffy. Right now we are adding so much fleet business, we haven’t had time to continue our geographic expansion. We should be through that by the fall and hope to open new geographies next year. How is business with your new device/service “Spiffy Blue” going? It’s going really well, we are getting great feedback from customers (currently have a 4.8 on Amazon) and have been working on taking the feedback and making the software component better.